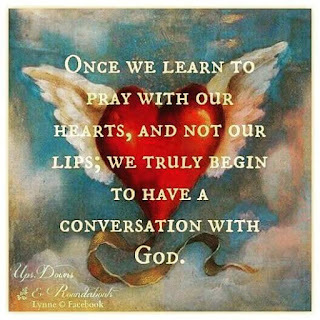 Not a Day Promised: I Love to Pray! 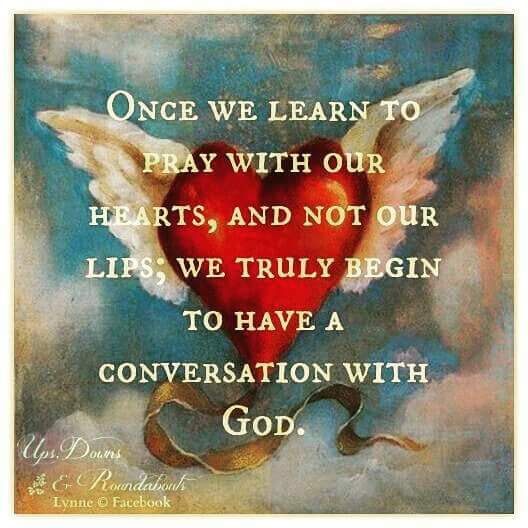 I have always loved to pray! Don't get me wrong, there are times when I feel my prayers just bounce off the ceiling. But, then God shows me He is still there...waiting patiently to lovingly hear even the smallest of prayers. As adults, we need not forget the power of prayer! I pray fervently for those struggling with mental illness, their care givers, their families who support them, the professionals that oversee their health, the local church that supports their needs. But prayer is the same for me, whether for bigger or smaller things. Some of my biggest thrills have come when I would pray with my kids about a stomach ache, a lost toy, a friend, asking God to stop the clock when we were running late to school. Or, the time we were on the way to school and running on fumes of gas and prayed for a green light to coast into the gas station, and we made it!! Now I get to see the littles (our small grandkids) pray for a lost yellow dump truck, a "lovey" (that special blanket...you know the one), and they are SO thrilled to see how God is concerned about their smallest concerns! A lot of times, He answers in the most AMAZING ways. I could go on with the things I pray for, like for more soap orders, since I am not cleaning houses anymore, and, you guessed it, God always comes thru! If there is ever anything I can lift up in prayer for you, call or text me at 469-774-3663. I am no one special, just an empty vessel who wants to see God glorified. I know God hears me. And, I know we are making head way in building His Mental Health Army. I WILL NOT GIVE UP PRAYING AND WAITING IN ANTICIPATION FOR HIS ANSWERS AND OPENED DOORS!